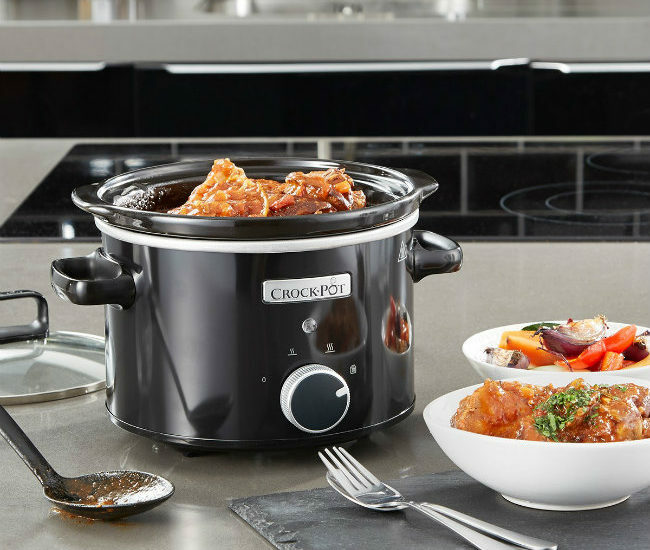 Crockpots are one of the best kitchen appliances you can have. They are very versatile, make delicious foods and require little to no effort! All you need to do it plug in your crock pot, toss a few ingredients in the bowl, turn it on and come back a few hours later to prepared food. You really can’t beat that! Here are a few of the best crockpot recipes that you should definitely put on your list to try. Roasted chicken thighs have to be one of the easiest things to make in a crockpot and also one of the most delicious. If you like crispy chicken skin with moist, tender chicken meat, then you will love these chicken thighs. This recipe (if you can even call it that) takes about 2 minutes to throw together and makes chicken that you can literally pair with anything. Get ready to have your chicken cooking techniques changed forever! This is another amazingly easy chicken “recipe” that will have you over the moon thanks to the juicy meat it makes. In just two steps, you will have sandwich-ready pulled chicken that will rival any restaurant around. You can serve this chicken on a big hearty roll, as a side to some veggies or as a topping to a southwestern style salad. Whatever you do with it, one thing is for sure- you will eat every bite! If you have ever had authentic carnitas then you know what a true treat they are. Well guess what? You can make them in your crockpot! While there are many variations of carnitas, this recipe is the most full of flavor. Oh, and like everything crockpot related, it is so easy! You can use these carnitas in tacos, packed in a burrito or on top of nachos. A delicious way to use your crockpot to spice up your dinner. There is something special about waking up in the morning to a hot breakfast ready and waiting for you. Thanks to your slow cooker, you can have that special treat every day! Making oatmeal in your slow cooker overnight is as simple as tossing a few ingredients in the pot, setting the temperature and going to bed- literally! You’ll wake up to the warm smell of cinnamon and the thought of having fresh homemade oatmeal will help you get out of bed for sure. This recipe is a great guideline to making your overnight oatmeal but you can easily make substitutions to suit your preferences. Try using coconut milk instead of whole milk or add a splash of vanilla extract to the mix. A scoop of pumpkin puree will make a tasty fall treat while a splash of orange juice and ginger will be perfect on a summer morning. Now that you have some amazing, fool proof slow cooker recipes, you will never want to put that machine away. Make a nice spot on your counter for your slow cooker to live as it will be getting some good use! Bio: Susan is a chef who has great passion for cooking & writing about food. She has her own personal food blog where she offers recipes as well as cooking tips. The shredded pork carnitas sound delicious! I love crock pot recipes! This is soooo nice I would love to have it. It looks awesome and does alot of things. Thank you for sharing. You can make so many things in this crockpot. I would like to try the sour cream cheesecake. I love using the crock-pot. It’s just so easy and it doesn’t heat the house up in the Summer. I’ve never tried making cheesecake in it, but that sounds like it’s worth a try, lol!